In 2017, Europe staked its future in the hands of a 39-year old who had never held an elected office, who celebrated his victory in front of the Louvre pyramid, and believes in the German philosopher Hegel's 'cunning of history' theory. But can new French president Emmanuel Macron be Hegel's 'man that embodies his time'? Can he put his country on the right track after years of economic and social stagnation, and give a new momentum to EU integration? His election victory in May against far-right leader Marine Le Pen was greeted with sighs of relief in EU capitals and especially in Brussels. 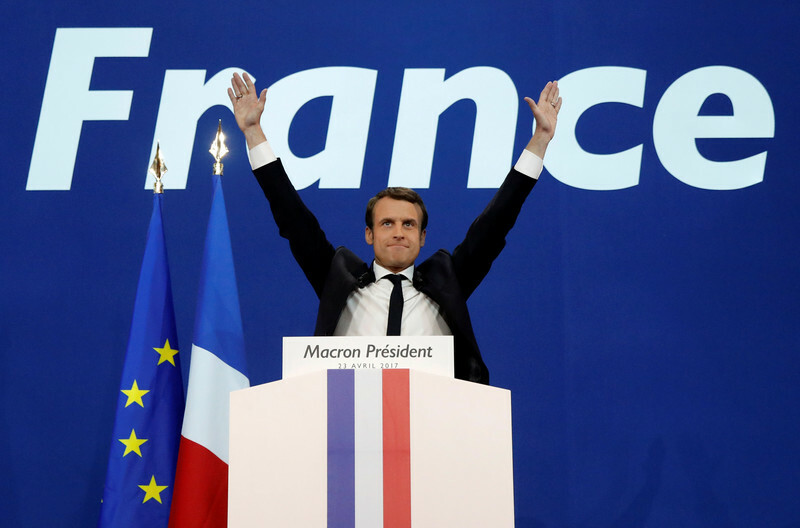 After the Brexit vote, the election of Donald Trump in the US and the near victory of a far-right candidate in the Austrian presidential election, Macron was seen as the last defence against populist, anti-EU forces. 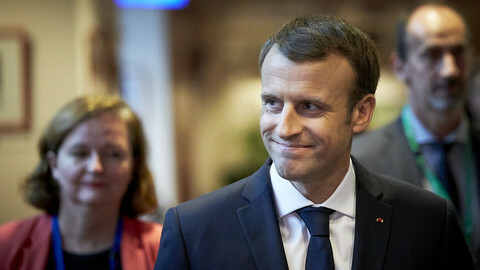 "There was such a relief because he is a new man, who campaigned on a pro-EU platform, who is quite rational and understands what is going on here," explained Charles de Marcilly, from the Brussels office of the Robert Schuman Foundation, a French think tank. Macron won because the Socialists were in disarray after five years under then-president Francois Hollande, whose approval ratings were so low in opinion polls that he did not run for re-election, and because the centre-right candidate Francois Fillon was engulfed in a scandal over fake parliamentary jobs for his wife and children. 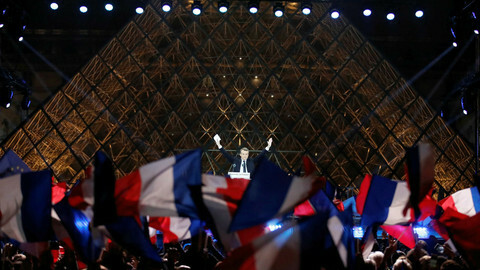 He also won because French voters rejected Le Pen's plans to leave the euro and renegotiate France's EU membership. More importantly, Macron conquered France's highest office just a year after launching his En Marche! (On the Move!) political movement because many voters turned away from traditional politicians, often perceived as either corrupt or powerless. Macron, who presented himself as a social-liberal candidate, obtained 65 percent of the vote in the second round against Le Pen, winning him the presidency. He then won in June a majority of some 350 MPs out of 577 in the lower chamber. "He has a nonstandard majority, he can do whatever he wants," De Marcilly noted. "But the window will be short, domestically and at EU level," he warned. According to the European Commission, France's growth will be 1.6 percent in 2017 (below the EU and eurozone average), unemployment will remain around 9.5 percent and while the deficit will decrease to reach the EU-required three percent of GDP, it is expected to increase again in 2019. "France is getting better but is not cured," De Marcilly said. 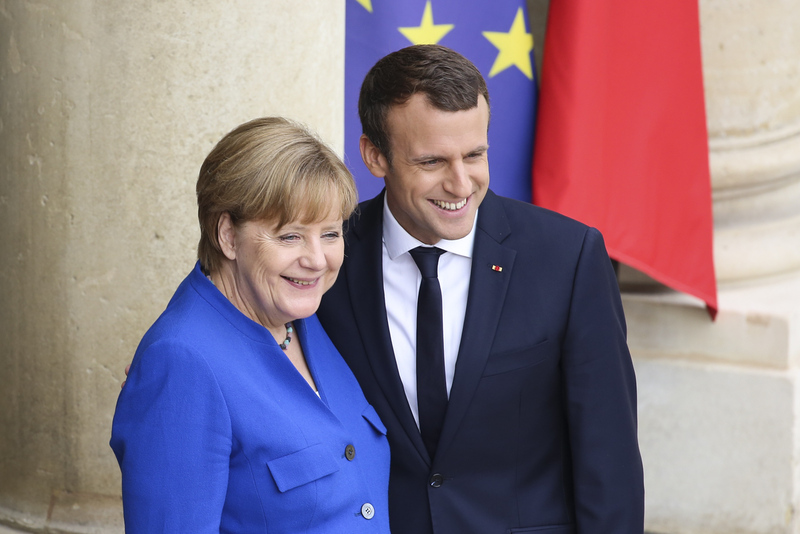 During his campaign, Macron insisted that France must reform itself to be competitive in a globalised world, but also to be in a position to ask its EU partners - Germany in particular - to change policies which many Europeans reject. Macron's main reform since he took office was a set of new labour laws, which were enacted in September via decrees in order to bypass opposition in parliament and trade unions. The new rules make hiring and firing more flexible and less costly for companies. In addition, the budget for 2018 abolished the wealth tax - an additional tax on property over €1.3 million - and introduced a flat tax on capital instead. In 2018, Macron plans a politically-risky reform of the pensions system, under which all existing schemes will be merged. Under the new system, which is still undergoing preparations, people will accumulate points instead of years of contributions and will be able to stop working if they accept receiving less money when retired. "France cannot be reformed, it must be transformed," the president said several times to justify what many in the country consider as too far-reaching and too liberal measures. Reforming or transforming the country to reduce unemployment is Macron's main challenge, explained De Marcilly. "His reforms must be underpinned by the economic dynamics from which Hollande did not benefit, like low interest rates, low energy prices, or an EU growth that is superior to the one in the US," he said. "This dynamic is awaited by France's European partners and would add economic and budgetary credit to Macron's personal and political credit." Despite rapidly declining approval ratings at home, Macron has used his international kudos to push for ambitious EU reforms. In a speech at the Sorbonne university in September, just two days after the German elections, he called on fellow EU leaders to "shoulder [their] responsibilities" and make the EU more integrated, even if that means a 'multi-speed' union. "Today, I take responsibility for making proposals, forging further ahead, being bold enough to talk about Europe and finding words of affection and ambition for it again," he said. Among his main propositions are a eurozone budget, a smaller European Commission, new agencies for innovation and security, a trade prosecutor to protect the EU against unfair practices, and a carbon tax at EU borders. He also proposed to create transnational lists for the European elections and said that he would organise "democratic conventions" across the EU. Macron, who consulted with German chancellor Angela Merkel before his speech, also insisted that "France and Germany can inject decisive, practical momentum" to his plan. 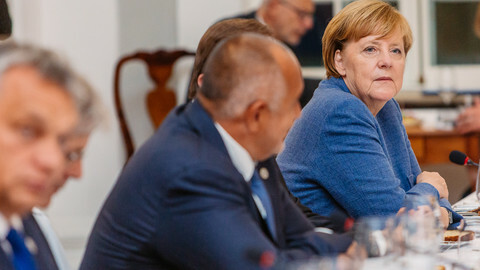 At an EU summit two days later, Merkel said there was "a wide agreement between France and Germany when it comes to the proposals" but that leaders still had to "work on the details". At another summit in October, leaders endorsed a 'Leaders' Agenda' prepared by European Council president Donald Tusk for the next 18 months. The document has "no lyricism, no Mona Lisa or comments on the shape of Greek temples," a top EU diplomat in Brussels quipped, in a reference to Macron's high-blown rhetorical style - suggesting that not all of Macron's ideas were taken on board. Merkel, for one, needs to have a governing coalition to be able to position herself in regards to Macron's propositions. Other EU leaders were wary to take more integrationist steps. Macron's election however created "a more positive spirit in the EU", according to a diplomat who works close to an EU leader. "There are more concrete ideas on the future of the EU" than before. 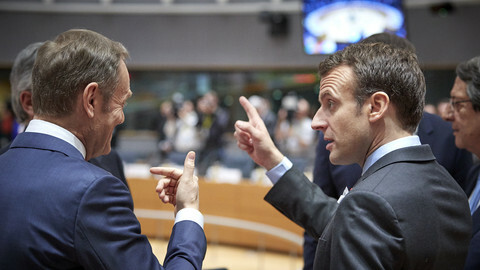 In an unusual move, both the Commission and the European Parliament published studies in which they showed the similarities and differences between Macron's ideas and both institutions' own proposals. 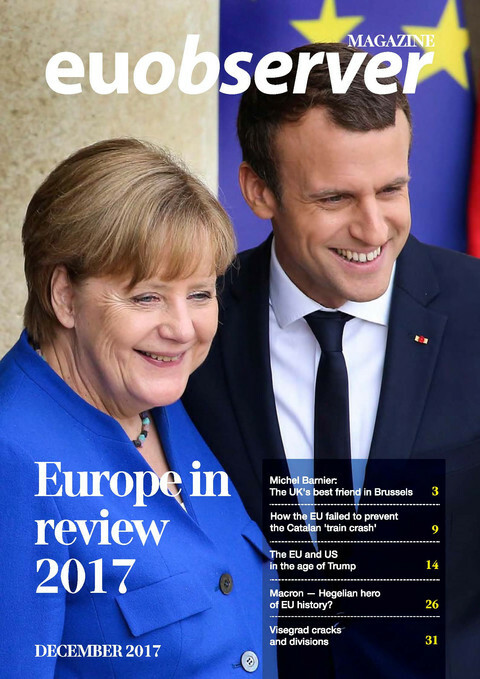 "Institutions look at the debate about the EU's future in comparison to the French propositions," De Marcilly noted. But Macron, who transcended the traditional left-right divide in France, will have to find stable allies in European political parties, in particular ahead of the 2019 European elections. Until now, the French president has found different alliances according to the issues on the table. "His equation is to add up variable geometries," De Marcilly said. Macron found support in Germany and Italy to push the European Commission to propose a screening of foreign investments in strategic sectors - a measure mainly aimed at China. He allied with Germany, Italy, Spain and eight other countries from all parts of the EU to demand a quick taxation of internet firms where they make their profits. On the revision of the posted workers directive - an issue he took up as a domestic and EU fight against social dumping - he worked closely with Germany, Austria and the Benelux countries, while at the same time touring eastern countries to overcome their opposition to changing the rules. Macron "took a risk" over the issue but won a "personal victory" when EU ministers agreed on a deal in October, after 18 months of discussions, De Marcilly admitted. 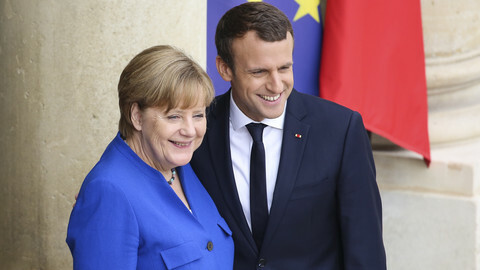 But in the long run, if he wants to avoid being dependent on other leaders - and mainly Merkel - to succeed, Macron will have to "create a new political offer at EU level" as he did in France, the think tank official pointed out. Preparing for the European elections will be his priority in 2018. 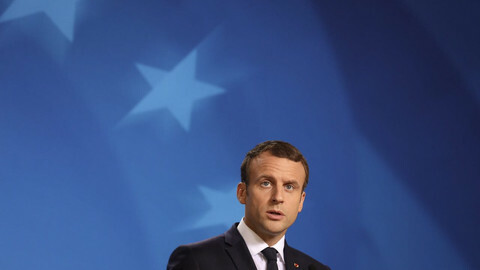 At the October EU summit, Macron assured other leaders that he "still has much energy" and that it is "normal that energy faces resistance." "It is the characteristic of movement in physics," he explained. "Otherwise you are only a moving body on an air cushion, going nowhere." After a spectacular start this year, the EU's 'wonderboy' will have to make sure he does not fall off that air cushion. French president Emmanuel Macron's signature plan to shape the EU elections will now go into effect. EU leaders need to know what citizens want, Europe minister Nathalie Loiseau argues in an interview.